How you can benefit from getting an appraisal from ASAP APPRAISALS, INC.
We can also help you with valuations for investment properties (multi-family and single family), new construction, land only, estates, and recertifications. Do you own a house in or near the Wasatch Front? Do you need help deciding the value of your real estate? At ASAP APPRAISALS, INC., we understand the special needs of a consumer in need of appraisal services. While our typical business clients understand the appraisal process and standard reporting formats, you as a consumer will get extra customer service in the form of an explanation of the process and even special consumer-friendly reporting forms if the assignment allows for them. Since you have an emotional attachment to your own home, it's often very hard to be objective about it. Our professional appraisers at ASAP APPRAISALS, INC. are objective. We won't just tell you what you want to hear, we will tell you what you need to know. A professional appraisal is very valuable as a negotiating tool once you have an attainable buyer, in addition to helping you set a realistic selling price so your house will attract buyers. The appraisal is something tangible to show your buyer. The appraisal is an independent third party's opinion of your house's value, not just how much your house is worth. Potential buyers assume that you have an emotional attachment to your home and will be much more likely to give credibility to a professional appraiser's value report than yours. PMI stands for Private Mortgage Insurance. A preferred way to cut expenses for homeowners is getting the PMI canceled from their mortgage loan, thus saving them money on their monthly payments. Your monthly payments will go down once your mortgage loan is below 80% of the value of your house. In most cases you can apply to your lender to have the PMI eliminated from your loan. 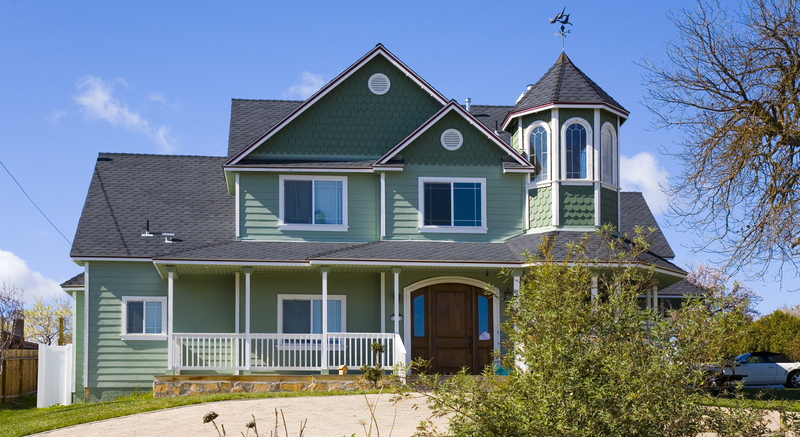 We're qualified in helping homeowners just like you do away with unwanted PMI insurance. Your local tax assessor may have your home overvalued if you live in a local area that is going down or not appreciating as much as other properties close to yours. This only means you are probably paying higher taxes than you should be paying. Since your property assessment may likely go up again in the next period, the faster you take care of things like this, the better. An expert appraisal from ASAP APPRAISALS, INC. is your number one weapon when challenging your property tax assessment. Recently got a freeze on your HELOC? If your house is in a declining area, your lender just may choose to automatically freeze your home equity line of credit (HELOC) - even if your specific property has not declined in value. This can be be destructive to your credit score since it may appear as though that credit line is maxed out, and is also unsuitable from a cash flow point of view. ASAP APPRAISALS, INC. can help you reinstate your HELOC. Have you just been given a copy of your appraisal and you would prefer to have an expert double-check it for verity or do you want a second opinion without the cost and delay of waiting for a whole new appraisal? In a field review we will go out and check the subject and comps in question. If you need it ASAP, we'll provide desk review and verify as many facts as we can using online data sources as well as our own files. Do you need a retrospective review of an appraisal report? ASAP APPRAISALS, INC. can assist you. Even though this is usually requested by banks, you may want to utilize this service if you suspect mortgage fraud related to your property.